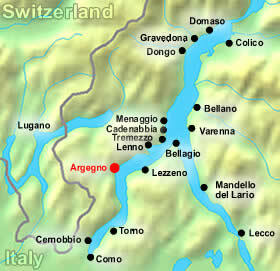 Here’s where we are (red dot)…Watch the Argegno Italy Video! 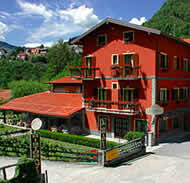 Argegno hotels are well suited for summer as well as winter getaways due to its ski-lifts nearby. Its charming location offers quiet, breathtaking scenery to its visitors. Now you can do a search to compare the rates of all Argegno hotels by choosing your preferred dates from the search box below OR you can browse through all the hotels listed below. 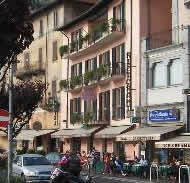 Location: Right on the lake and the main road of Lake Como – Via Milano. Description: Very friendly, family-run hotel with a great restaurant. 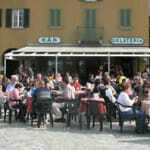 Keep in mind that the main road can get quite busy in Lake Como and be sure to book a room that faces out on the lake. 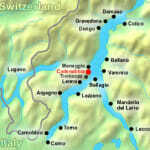 Location: In a quiet hilltop 4 km from Argegno overlooking Lake Como. Having a car is essential. Description: A charming hotel with a very friendly staff boasting clean, spacious rooms with individual decor. Great value for your money! Location: Right by the lake in peaceful surroundings. 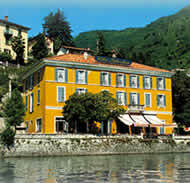 Description: Based on a small 18th century villa, this Argegno hotel has nice rooms with an excellent restaurant. Be sure to book a lake view room to avoid the main road on the other side of the hotel. No Online Booking. Call +39-031-821116 to check rates/availability. 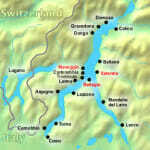 Location: On a hilltop 4 km from Argegno overlooking Lake Como. Description: Charming hotel with very friendly owners. 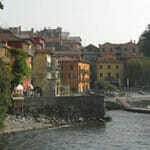 Breathtaking panoramic views of Lake Como. A car is essential for reaching the hotel. No Online Booking. 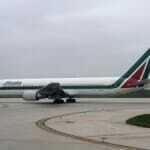 Call +39-031-821738 to check rates/availability.